Have you yet made the pilgrimage? 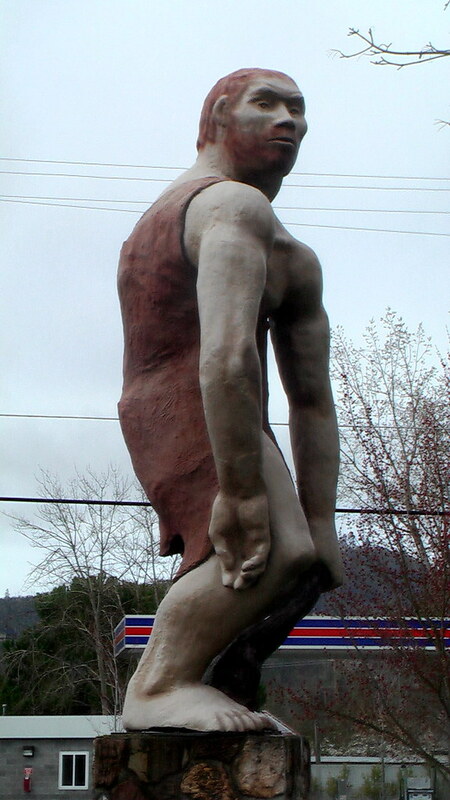 Chosen one of 21 colossal roadside statues not to miss in North America, you can’t miss this one. Constructed by the “Caveman Club” in 1971, this lummox was tragically vandalized July 4th, 2004. Thank God a local business man chipped in the $2,500 for repair. Pingback: » 12 Coolest Roadside Statues. : Entertainment blog on oddities :. This sculpture was created by Richard H. Ellis, a California sculptor more than 30 years ago. Mr. Ellis now resides in Montana.